1. 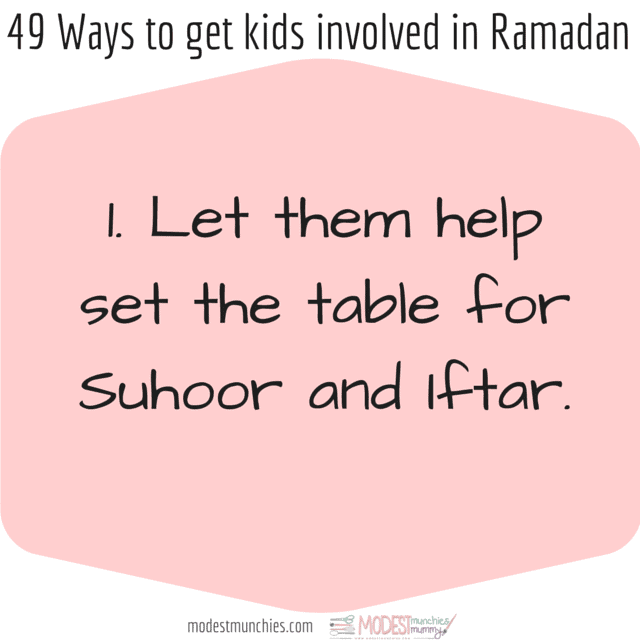 Let them help set the table for suhoor or iftar. 2. Make a Ramadan banner or poster. 3. Use a countdown calendar. Check out some of the printables below. 4. Or better yet, create your own. 5. 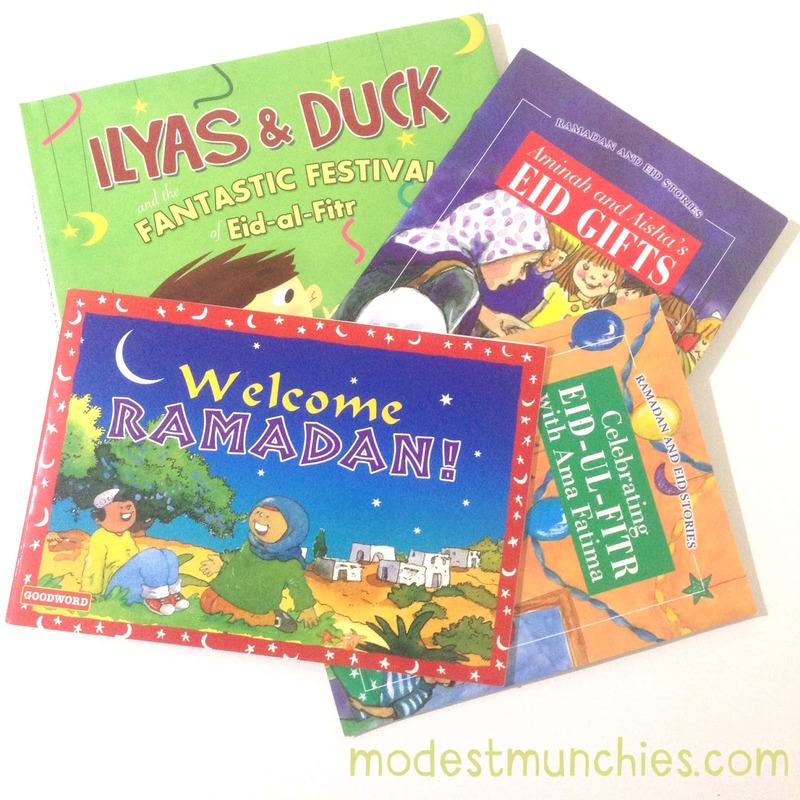 Have the kids help you decorate the house and set up a little Ramadan display with/for them. 7. 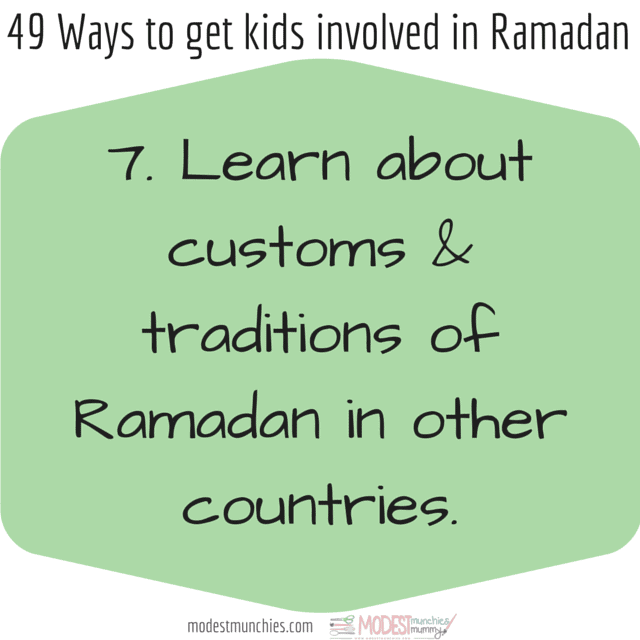 Learn about the customs and traditions of Ramadan in other countries – a simple google search should bring up plenty. 8. Make a sadaqah/charity box. 9. 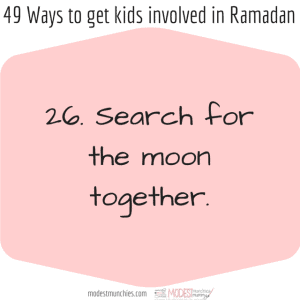 If you share some food/dates/info about Ramadan with your neighbours- take your kids along with you. 10. Let them share Ramadan with their friends. 12. Turn traditional Ramadan menu items into fun, kid friendly versions – this can be as simple as lowering the spice, cutting into fun shapes, or even offering a smaller serve. 13. Have a Ramadan party. We had a Ramadan Craft Party last year, with my son’s friends. 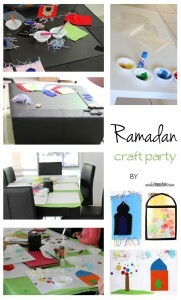 There’s also this great Welcome Ramadan Party for Kids on My Halal Kitchen. 14. 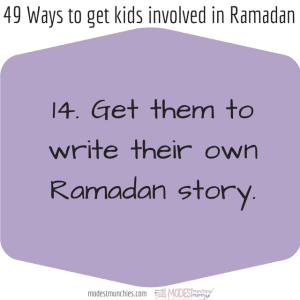 Create your own Ramadan story, if your child is too young, ask them to tell you about Ramadan in their own words and write down what they say. This will be a great keepsake for years to come. 15. Read stories from the Quran. Most of our Quran stories are from Goodword Books. There’s a great selection on Amazon. Find them here – Goodword Books on Amazon. 16. Get your kids to create a gratitude list. Ramadan is one of those times that we really appreciate all that we have. Why not get your kids to start their own gratitude list. They could write daily in a gratitude journal, or fill a jar with daily gratitude notes. If your children are too small to write, you can have them draw a picture, or write it for them. 17. Donate clothes and toys to those in need. 18. 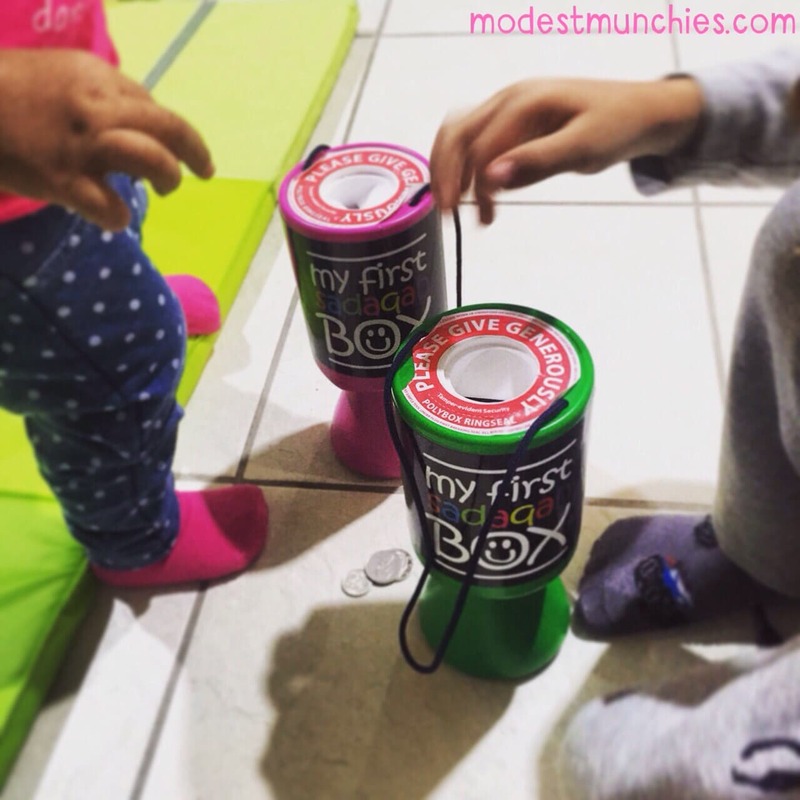 Give your child money/coins to fill a charity box that you can drop off with them at the end of Ramadan or at a later stage. 19. Wear traditional garments – if you have traditional garments in their size, get them to wear it for a day. This can be traditional cultural dress or even modest Islamic dress. 20. If your kids are old enough get/make a fast tracker and give rewards for completion. Praise and encouragement work just as well as a toy or lolly. 21. 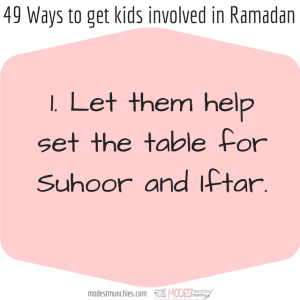 Get them involved in suhoor, if it’s too early for them wake up, let them have a ‘suhoor’ meal at breakfast time. 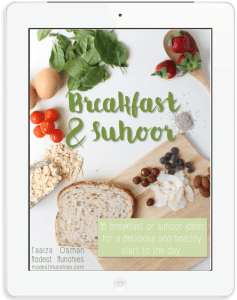 Set the scene – do everything just as you would during suhoor so they can experience it and don’t forget to finish off with a date, some water and your intention to fast (just as a practise of course). 22. 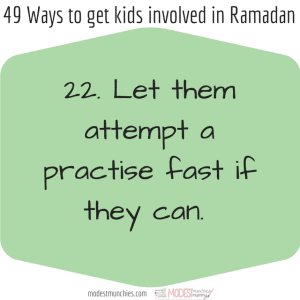 If your children are too young to fast, but are excited by the prospect of fasting, let them attempt a practise fast (this doesn’t have to be longer than a few hours, making sure you don’t force or push them to do so) . 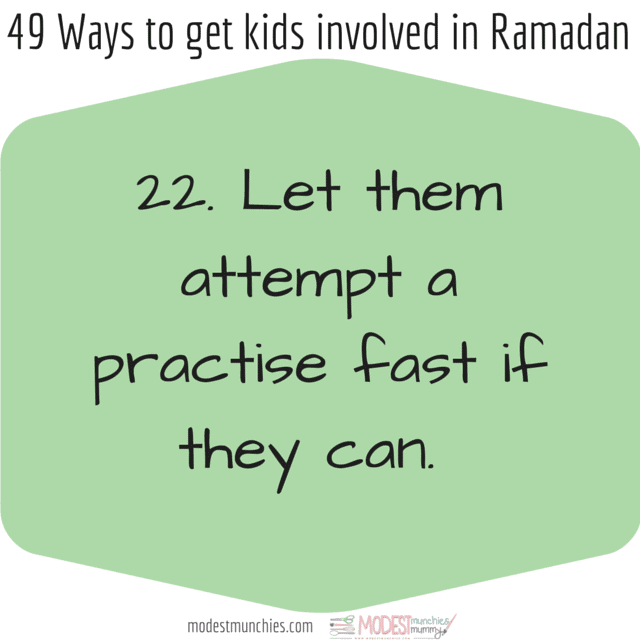 Offer praise for any attempt made, it will encourage them to fast when they are required to do so, in shaa Allah. 23. 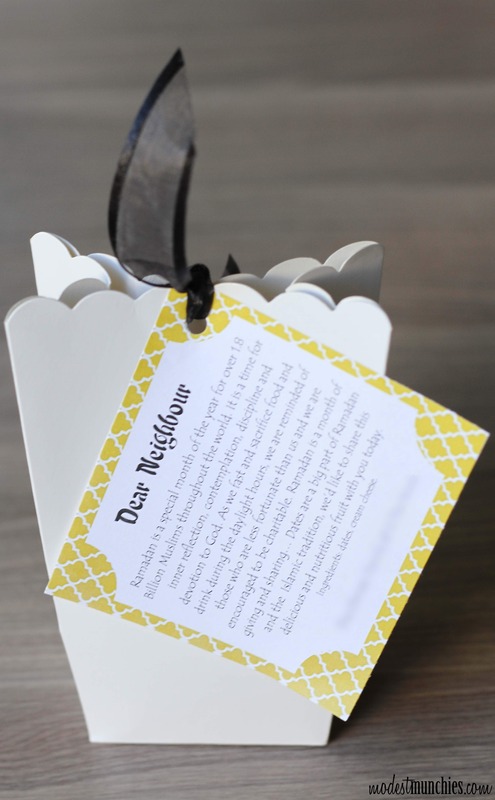 Ask them to help choose their eid clothes- try to purchase these before Ramadan, or if you’re using existing clothes or are purchasing them yourself, get them to try them on before Eid, and ask them to get accessories ready (socks, shoes, belt, headbands, hair ties etc). 24. Get/make a salaah tracker and offer rewards for completing salaahs. 25. Learn a new surah – if your kids are old enough and able to memorise, try learning a surah with them. There are so many short surahs to choose from. 26. Play Quran recitation in your house. 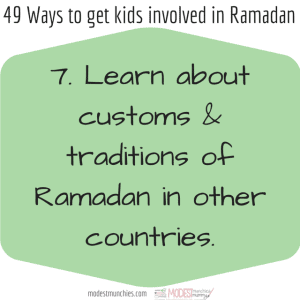 If possible incorporate the playing of Surahs that your children have memorised or are familiar with. 27. Set up an I’tikaf tent. 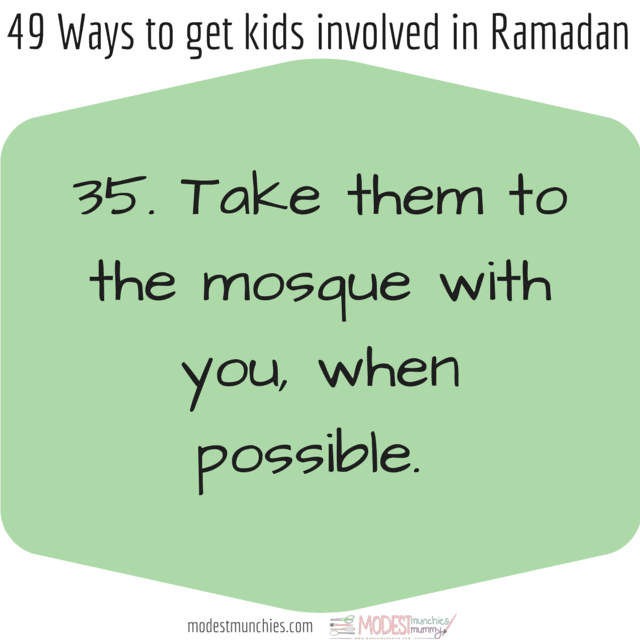 Idea from How to get your kids to love Ramadan on Productive Muslim. 28. 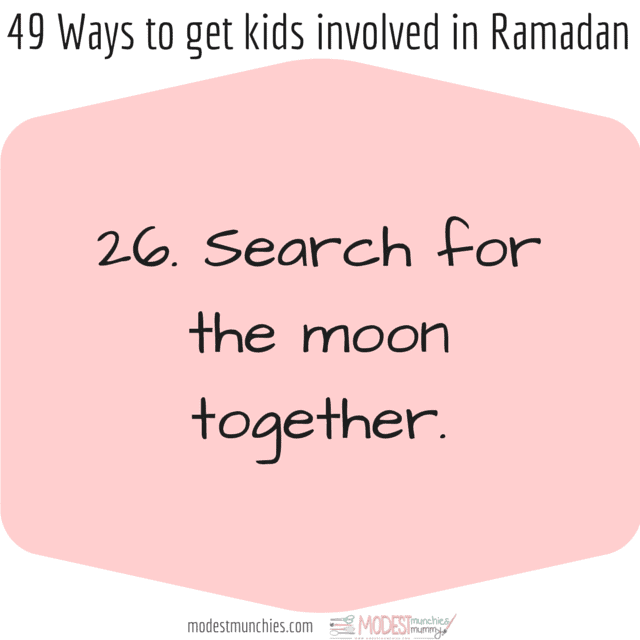 Search for the moon together and talk about its phases and what they symbolise in welcoming the Islamic month. 29. 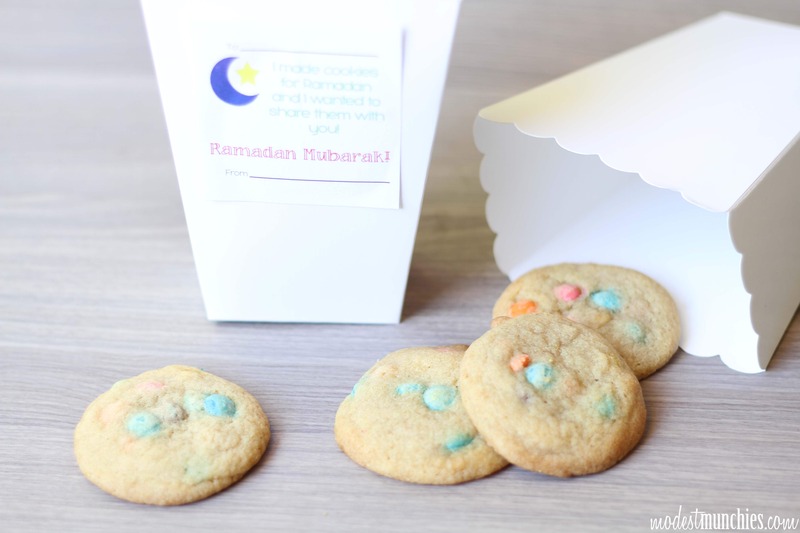 Make food and cookies in fun islamic shapes. 30. Encourage your children to perform simple sunnahs – or they can compete with themselves by setting a Sunnah goal and trying to beat it each day. This can be a great one to work on as a parent as well. 31. 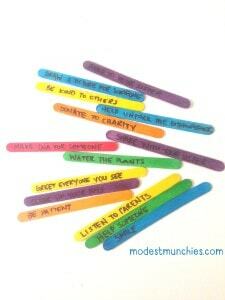 Encourage good deeds or make good deed sticks. Good Deeds and acts of Kindness for Kids featured on Disney Baby by Little Life of Mine. 32. Listen to islamic songs or Nasheeds (if you prefer instrument free, there’s a lot of options, if you look). 33. Increase knowledge together, watch (child appropriate) lectures on YouTube or put on some Islamic Children’s DVDs if you have them. Little explorer’s Australia is our current favourite. We also own all the Zaky DVDs – Let’s Learn Quran with Zaky and Friends was played over and over again last Ramadan, I think we all know the words off by heart. Purchase through Amazon or in the 1Islam store. We plan to buy part 2 very soon in shaa Allah. 34. 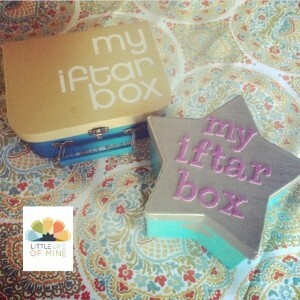 Create an iftar box – I saw this idea on Amnah’s (Little Life of Mine) Instagram last year. If your kids have started fasting or even if they’re doing part fasts, start an iftar box with them, it’s a great motivator to get to iftar time so they can enjoy all the treats they’ve packed. 35. Take them to the mosque when you can. If they’re up and can manage, take them for Taraweeh prayers one night. 36. If you have special ramadan recipes, ask your kids to help you prepare them, be patient, it may take longer and be more messy than usual but they will enjoy the time with you. 37. If you’re having friends and family over for iftar, get the kids to help with the meal, to set up for the guests or help with the table. 38. 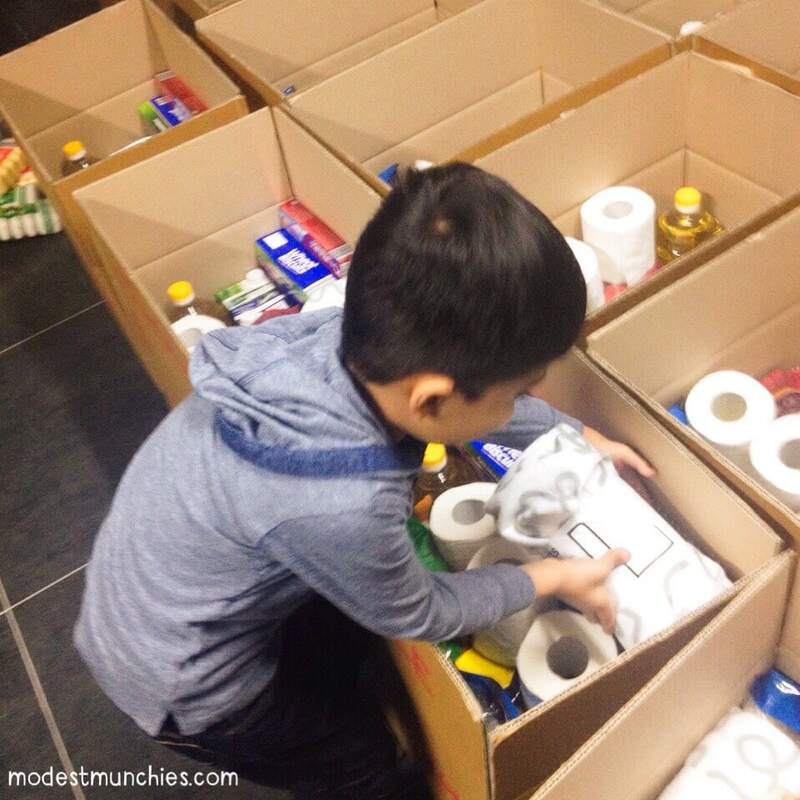 Pack hampers for the disadvantaged/homeless and ask your kids to help you pack. Delegate tasks that will be simple and easy so they can be pleased with themselves and aspire to do more. 39. 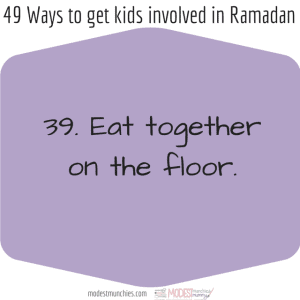 Eat together on the floor – give the dining table a rest (or the kitchen nook as the case may be), throw a mat on the floor and enjoy your iftar Sunnah style. 40. If you’re sharing Eid gifts, get your kids involved by getting them to help you make it if it’s homemade, or help you choose something of you’re making a purchase or they can help gift wrap and fill envelopes for you. 42. Teach them about Layatul Qadr – change your routine in the last 10 days/nights and increase your worship so they recognise the significance. 43. 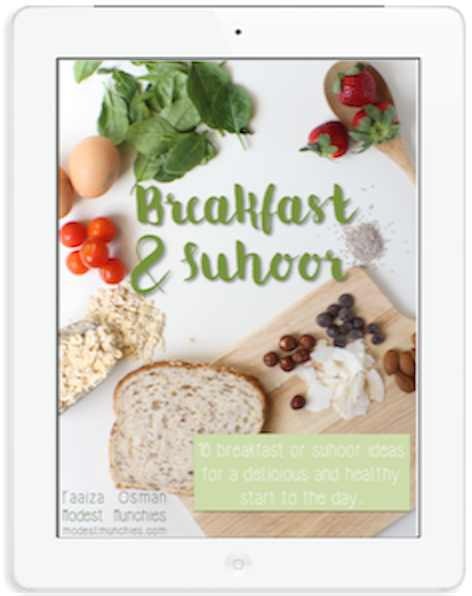 If your children use an iPad or Tablet why not incorporate some Islamic/Ramadan Learning apps. 44. 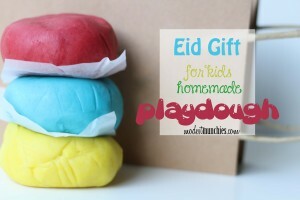 Get your kids to help you plan your Eid decorations, and help you decorate when the time comes. 45. 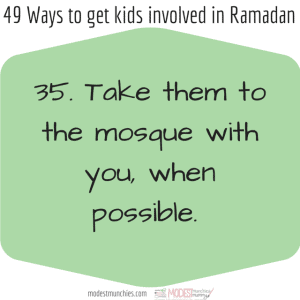 Make a Dua list of simple and easy Duas to learn with your children. You can introduce the fasting Duas too. 46. Create Ramadan traditions with them. Some ideas below. 47. 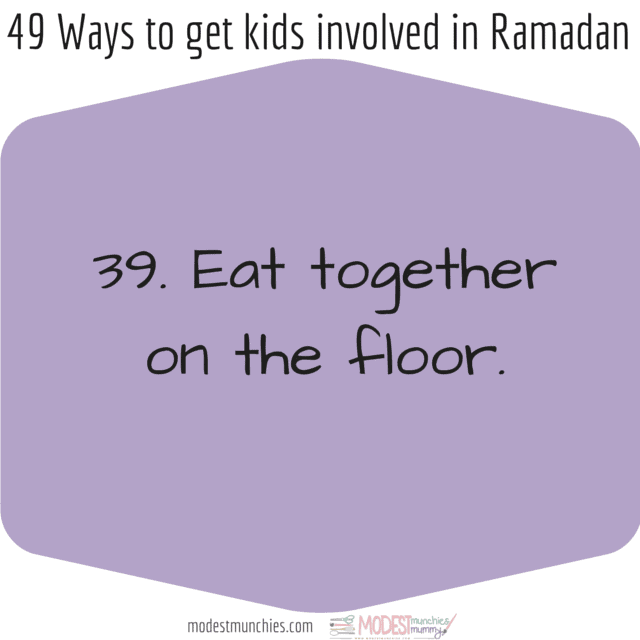 Let them experience iftar – start their dinner off with some water (Zam Zam would be great) and a date just as you would if you were breaking your fast before eating ‘dinner’. 48. Read Ramadan/Eid stories with them. We only have a few but I’m hoping to increase our collection this year. 49. Encourage love for learning and reading Quran. Teach them about when and how the Quran was revealed. 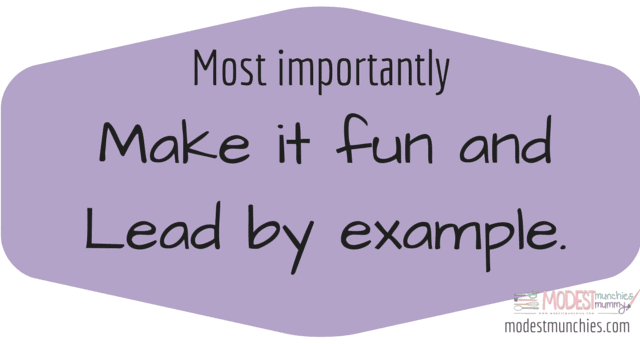 BONUS: Make it fun and lead by example! JazakAllah sister Faaiza for the mention and the awesome tips and links, May Allah Reward you. Ramadan Kareem! Subhan Allah. May Allah reward you. Salaam. Great ideas Jazakom Allah Khairan, shared on facebook for my Arabic and English blog.. really a treasure to keep. Ramadan Kareem. That’s great! JazakAllah for sharing! Thank you! Ramadan Kareem! Ramadan Kareem. Thank you so much for your efforts in putting this together for families to enjoy together. May Allah bless you and continue to give you great wisdom. these are such fantastic ideas, so inspiring. 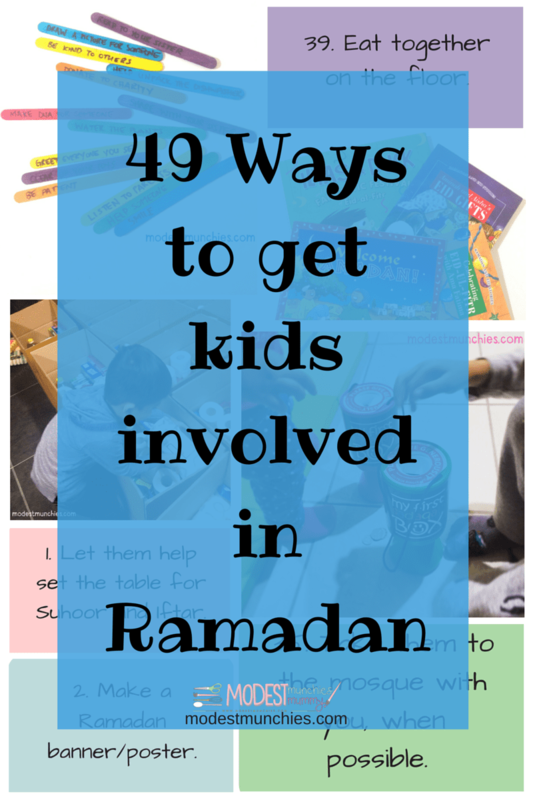 it’s so important that children feel included in ramadan and these are easy creative ways of making sure they get to take part in lots of the fun! Masha Allah, what a Ramadan star you are !!! MasyaAllah…many brilliant ideas. Jazakumullah khair. Ramadhan Mubarak. Jazakillahu khairan kaseera dear sis! May Allah grant u more wisdom & knowledge! Jazakhallah Very nice tips for children and thanks to your hardwork for giving such a wonderful ideas.wish you a very happy Ramadan Kareem.May Allah blessed you with lots of love and include me in your prayers.